In the early years of the 20th century travelers were advised not to come to Virginia because of the poor condition of the roads. Deep ruts, mud holes, and lack of maintenance made travel precarious in the Old Dominion. In 1925 State Senator Harry F. Byrd who as a young man had worked part-time on a private toll road–the Valley Pike in the Shenandoah Valley–ran for governor on the campaign slogan “Get Virginia out of the mud.” Byrd’s campaign was successful, and in his single term as governor he established the Virginia Department of Highways. His centralized highway system led to the present-day highway system that is one of the largest in the country with 57,867 miles of highways and 20,991 bridges. Byrd also implemented a “pay as you go” financing system that keeps the pace of highway construction and improvement at the rate of current revenue without borrowing. Old timers in the state remember traveling on roads that went from two to four lanes and back to two every few miles as money was available in the highway construction fund to complete the widening. 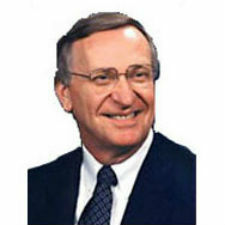 Governor Gerald Baliles who served from 1986 to 1990 was able to get a significant highway funding program approved in 1986 that along with federal funding was able to make improvements to the highway system and to introduce funding for mass transit. That was the last time politicians in Richmond could agree on a financing plan for transportation until 2013 when new monies were approved along with a new approach for identifying projects. Secretary of Transportation Aubrey Layne last week briefed the House Transportation Committee on which I serve and outlined the three R’s in transportation planning that have come about because of legislation passed the last couple of years. As a result of bipartisan efforts, Virginia’s transportation program has been renewed with new resources for all modes of transportation. The program has been reformed by requiring use of an outcome-based prioritization process with increased accountability and transparency. The transportation program has been refocused by replacing the decades-old allocation formula with a new formula that aligns funding with need. Gone is the approval of funding transportation by locality to a shift to regional consideration and statewide needs. Rather than the piecemeal approach to project funding there now will be full funding of projects. And the new system of funding that has been put in place is designed to shift prioritization from politics to factors of congestion mitigation, safety, accessibility, economic development, environmental concerns and land usage. Governor Byrd’s Department of Highways whose name was changed to the Department of Transportation years ago has begun functioning with a multi-modal approach that includes bus and rail as well as bicycles and pedestrians. While Northern Virginia continues to face significant challenges as one of the most congested parts of the country, additional funding that is now available along with the outcome-based prioritization process will accrue to the benefit of our region. Results will not be immediate, but I believe we are moving in the right direction.